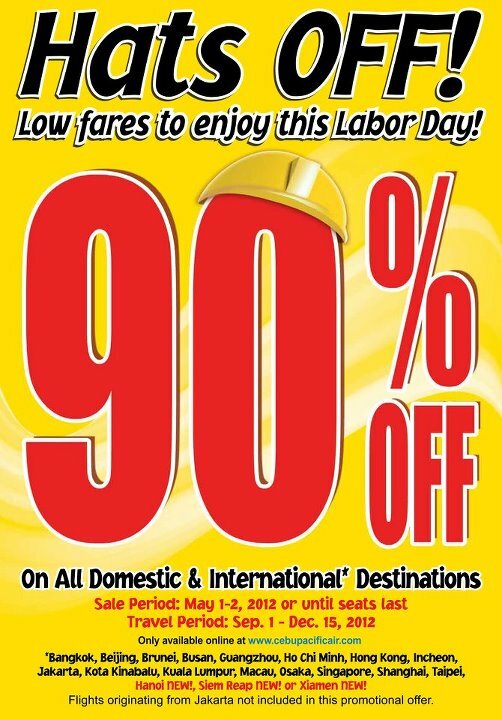 Home Cebu Pacific Seat Sale Hats OFF! 90% OFF! In lieu of the Labor Day, Cebu Pacific is at it again with their lowest fare rates! 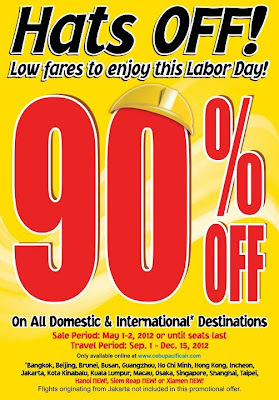 This time, 90% off for ALL domestic and internationa destinations! Sale Period today and tomorrow only or til seats lasts. Travel dates from September 1 to December 15th.